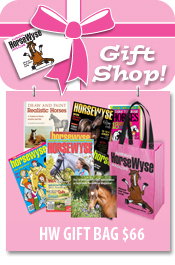 With HW now on sale in HORSELAND stores Australia wide as well as through newsagents AND on-line, there's never been a better time to ADVERTISE WITH HORSEWYSE! DON'T BE SCAMMED - Always book your advertising direct through HorseWyse or phone HW Editor Emma Lipscombe on 0417444025! Our target readership is aged 6 to 16 years and a large percentage of our readers are members of Pony Club, RDA or family focused riding groups. Because HW targets 'young horse lovers' (rather than just horse owners) our HW readers and subscribers live in both remote rural areas as well as highly populated city centers. Plus, our HW parents love and read us just as much as their children do..and they tell us that 'pester power' means your brand is the brand that HW readers and their families WILL choose! Our 'HW TWEENS' are savvy shoppers and powerful social media networkers! HOW CAN WE HELP YOUR BUSINESS? HorseWyse - Australia's No. 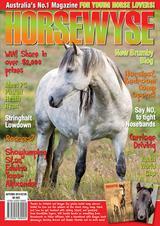 1 Magazine for young horse lovers - wants to help your business to 'STAND OUT FROM THE CROWD'. As a proudly independent, family owned business - we understand that EVERY DOLLAR YOU SPEND COUNTS! 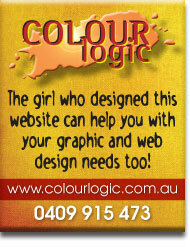 That's why, as well as offering sensational rates on large scale corporate advertising campaigns, we've also responded to feedback from small businesses, looking for an affordable and effective '$50 business card' size advertisement! Did you know that with a passionate and loyal subscriber reader base and an Australian and NZ newsagent distribution of 15,000 HW issues per quarter - HorseWyse is now also reaching 87 countries around the world via our HW App. for iPhone, iPad and iPod touch? Most importantly, feedback from our customers suggests that advertising in HorseWyse really works. Our magazine stays on the newsagent shelves and out in the market place for THREE MONTHS at a time - not just for a few weeks. PLUS, our readers 're-read' HW over and over and over again. They don't just flick. Indeed, with our ever popular horse posters, competitions and activities, HorseWyse stays around long after others have been discarded...and you'll also find HW issues at Pony Club rallies, school buses and in school libraries around the country! Display/Strip sizes : From $99 depending on size *complimentary artwork assistance provided! NEW! Business card size: just $50 - as part of our NEW 'Pony Post' page. *complimentary artwork assistance provided! Contract discounts apply to three or more bookings during a 12 months cycle. All new/one-off advertisers must be pre-paid. Editorial support: We provide comprehensive editorial and on-line support for regular advertisers of half page size or more. Supplied as high resolution PDF. Can be emailed to editor@horsewyse.com.au or uploaded via our secure FTP server (see below for details). Artwork can be created by HorseWyse at highly competitive rates and a proof will be emailed or sent to you for approval. Please note: for FTP uploads you will need an FTP client (a specific program on your computer for this ability, such as FileZilla). FTP uploads are a fast and easy way of sending large files rather than emailing them. FTP clients can easily be installed for free, straight from the internet. Use this link for a quick installation of FileZilla and follow the instructions. Use the settings above to log in to our secure HorseWyse FTP Account. If you don't have the option to input an "Initial or Starter Directory or Folder" then just use the Hostname, Username and Password above and then open the "httpdocs" directory/folder and upload your files inside there. Please email us at editor@horsewyse.com.au for further details or instructions if required. Please book EARLY so we can reserve a premium, up front right-hand page position, or space in the section of your choice. 30 days on invoice for regular advertisers. Pre-paid only for one-off adverts. PayPal, BSB, cheque, Visa or MC accepted.